On Sunday, the night before official press days at the North American International Auto Show, GM introduced a new Cadillac SUV, the XT6, a three-row luxury vehicle. 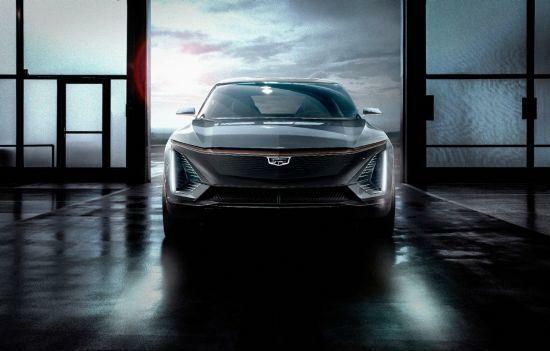 The company also showed visuals of what it calls its first all-electric Cadillac. GM says all its future Cadillac electric vehicles will be built on a single, flexible platform, to speed development and lower costs. It is not clear what will cause consumers to embrace EVs in larger numbers. Gasoline prices remain extraordinarily low, and sales of SUVS, trucks, and crossovers passed 70% of the market last year, with more fuel-efficient sedans losing ground yet again. Pure EV sales were only about 1% of the total market, spurned because of their higher cost and limited range and utility. Automakers like GM are striving to reduce those costs, however, to reach parity with similar vehicles with internal combustion engines - as well as increase range. GM says it is planning to develop EVs that can go about 300 miles on a single charge. The Chevy Bolt, GM's all-electric small crossover, gets about 238 miles on a single charge. Stateside's conversation with Michelle Krebs, Autotrader.com analyst. The past few days have brought some big changes in the automotive world. Sergio Marchionne, chief executive at Fiat Chrysler, stepped down after complications during a shoulder surgery. He’s been replaced by Mike Manley, who has been in charge of the company’s Jeep and Ram brands. Plus, it’s finally official. The Detroit Auto Dealers Association has announced that the the North American International Auto Show is leaving frigid January behind and shifting to a June schedule in 2020. The upcoming North American International Auto Show might be more notable for the topics of discussion than the vehicles. That's according to analyst Michelle Krebs of AutoTrader. She says there's a lot going on right now, like the need for car companies to transition to mobility companies, as self-driving cars come closer to being a reality. Then there's the transition to a new president.